PlayerUnknown’s Battlegrounds is still the most popular game on Steam, by an inescapable margin, and much of that success comes from the game’s immense popularity in China. PUBG offers servers across several regions, but there’s no lock preventing players in one region from swapping to another at any time. That’s served as a significant point of contention among players for some time now. Still choosing your battle royale? Here’s our take on Fortnite vs. PUBG. Today, PUBG creator Brendan Greene reminded the world that they’re working on a system to separate users based on large ping differences. That’s a small announcement on its own, but in a roundabout way it addresses one of the loudest complaints coming from the community. According to PUBG’s anti-cheat service of choice, BattleEye, the “vast majority” of the game’s cheaters are coming from China, and anecdotes from the game’s millions-strong playerbase see plenty of examples of the same. 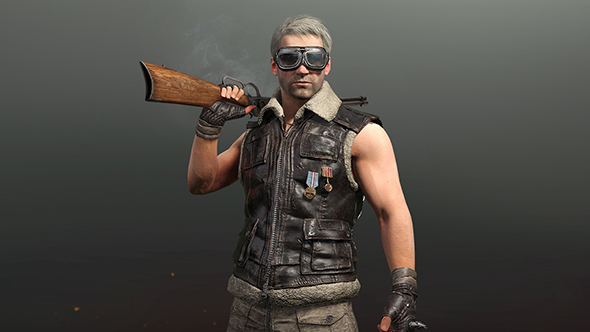 Official communication from PUBG Corp – including a recent apology over a BP currency error – are often followed by thousands of comments saying some variation of “region lock China.” Disappointingly but not unexpectedly, there’s a fair share of racism and xenophobia among those calls. It’s not just the cheating that has players antsy, though. The proliferation of Chinese players across other regional servers has meant non-Chinese speaking players in random duos and squad games never know if they’ll be able to communicate with their teammates. Geographic distances also mean ping times often aren’t as consistent as they should be. The system Greene mentioned development of today would essentially serve as a soft region lock. The wording of the original message even says “players with a high ping difference from average ping range for the region or players connecting over long distance will not be able to connect to a match.” It’s not quite the #RegionLockChina that’s been tossed around, but it could serve to make the issues behind that rallying cry far less significant.